The Israeli government is a rogue regime by most international standards, engaging as it does in torture, arbitrary imprisonment, and continued occupation of territories seized by its military. Worse still, it has successfully manipulated my country, the United States, and has done terrible damage both to our political system and to the American people, a crime that I just cannot forgive, condone, or explain away. But the United States already practice continuous military occupation, torture, and arbitrary imprisonment. Is the author thinking that the invasion of Iraq, Guantanamo or Abu Ghraib were done under israelian influence? Of course, blame the Jews. Complaining about the Jewish influence on the American government has been in Antisemitic literature for over a century. Go ahead, don't learn from history. Anyway, I was reading this blog for the functional programming articles, so I'm surprised to see this here. Also surprised because I thought the owner of this blog is a Brit. Makes one wonder why these complaints from an American are considered so valuable by the poster. By the way, the British empire has largely been responsible for creating the current mess between the Israelis and the Palestinians. Also, Brits complaining about the Israelis is a bit odd, considering that the British empire has done far worse things, far more often, and that not for the survival and protection of its own people, but for greed and self interest. The obvious response, if someone criticise the goverment of israel. The misunderstanding here is: The israel goverment is only smal group inside the jewish community. But if you criticise the goverment, they blame you to be antisemitic. They oversees, that not less jewish people in israel dislikes the actions of the goverment too. To correct the second commenter: While Phil Wadler currently lives in Scotland, I'm fairly sure that he is both Jewish and American. Dear Philip, would you be able to name some or all other countries you dislike, or is Israel somehow uniquely deserving of your condemnation? Thank you for posting this link. We live in a time when a great injustice is perpetuated by the government of Israel on the occupied Palestinians. The more people who have the courage to condemn it despite the inevitable backlash from those who see any and all criticism of Israel as anti-Semitic the more likely we are to see change. Reading through the previous comments I was struck by how non-sensical some would be if "South Africa" under apartheid was inserted instead of "Israel". Who would ask one to list all the other countries they disapproved of if one spoke up against apartheid in South Africa not so long ago? Of Course there are real anti-semites out there, but it is the worst kind of cynical amorality to use that fact in defence of a morally bankrupt political program. Stick to your guns! If someone is only and exclusively criticizing the Israeli side, then one may question the motives. Scanning the blog I see 3 more or less recent articles complaining about Israel. Where are the links to stories about the Chinese occupation of Tibet, the Turkish occupation of northern Cyprus etc. (all of an imperialist nature, opposed to the so called Israeli occupation that is for obvious security reasons)? Where are the complaints about the influence of the tobacco lobby, the gun lobby etc. on the US government? Where are the complaints about the mortar and rocket attacks by the Palestinians? 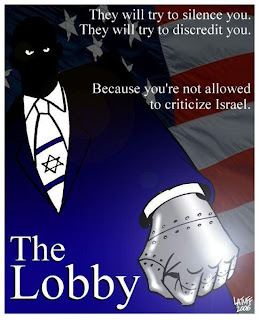 I think it's a very dangerous argument as it denies any possible criticism against Isreal government actions. The questions Wadler rise are reasonable and should be discussed (no matter what Wadler profound motives are). I think we all agree that mr. Wadler hates Israel. Many of the posters here wonder why that is. Anonymous #1, #2 and #7 make the point that mr. Wadler seems to only hate Israel, even when there are many countries that are equally or more worthy of mr. Wadlers hate. Then what makes Israel different from those other countries, so different that Wadler only hates Israel? I can think of only one significant difference: Israel is Jewish. Anonymous #3 and #8 make the point that this cannot be the correct answer because many people give that answer. That kind of logic you don't expect in a blog on programming, a reductio ad snobism. A consequence of post #8 is that for a discussion on the situation in the Middle East, it doesn't matter if arguments are antisemitic or not. I have no taste for a discussion that goes that way. Try to be more constructive and look at the situation from both sides. At least criticize both the Israeli actions as well as the Palestinian terrorism. Better yet, try to promote understanding between both sides instead of hatred. I think Dr. Wadler likes to criticize Israel for the same reasons I do – he's Jewish and he feels ashamed of what some of the Jewish people do and how blatantly Israeli's 1% manipulating 99% using racial hatred. And you know what? I think that's perfectly OK. There is a name for comments like "oh, but X is doing bad things too!!! ", which is whataboutism and I face it on daily basis. When I say something "bad" about Russia and Russian regime (I am a Russian citizen) I get "called out" on how I am shilling for USA, because instead of criticizing USA all day I dare to say bad things about my country ("Hey, but in X they have Y!"). It's shameful that anti-Israel rhetoric is used by some anti-semites, but I believe that most of us are not bigots. "Anonymous #3 and #8 make the point that this cannot be the correct answer because many people give that answer. " Who cares why Wadler has a particular interest in Israel and its government. Who knows, maybe he had a mean isreali math teacher when he was a kid. This is simply not relevant. As long as his opinions are supported by facts and logical reasoning. Let's suppose you debate with an animal rights activist. Does it matter that there are other more important cause to embrace? does it matter why the activist feel concerned by this topic more than an other one? "A consequence of post #8 is that for a discussion on the situation in the Middle East, it doesn't matter if arguments are antisemitic or not." Yes, it does matter. Antisemitic arguments have no place in any debate. But everybody is entitled to have opinions about the action of the Israeli government. Arguments must be discussed based on facts and logic (and not by questioning people motives for supporting those arguments). Let's suppose that I hate Wadler (i'm secretly jealous), and I found a mistake in his latest proof. Because I hate the guy, I have no right to point his mistake? > Arguments must be discussed based on facts and logic (and not by questioning people motives for supporting those arguments).> Let's suppose that I hate Wadler (i'm secretly jealous), and I found a mistake in his latest proof. Because I hate the guy, I have no right to point his mistake? While I agree with Philip Wadler's post, in politics one can check for hidden motives. A lot of Giraldi's article is about questioning hidden motives of Israeli lobbyists, and saying that some Netanyahu's speech is a scandalous interference. It seems that by your reasoning, you shouldn't agree with Wadler here. The real answer here, IMHO, is that since Wadler's Jewish, it seems ridiculous to accuse him of antisemitism. And if a smart Jewish guy like Wadler quotes Giraldi, what he writes is probably enough not antisemitic to listen to him. Back to your question, if you find a bug in a proof you can point out the mistake, even if you hate the author. But the comparison misses the point, because in politics, deciding arguments based on facts and logic is not possible, while proofs can be (machine) checked: At the least, too many (implicit) value judgements (axioms) enter the picture. Moreover, it seems naive to take a journalistic article purely as a logical argument: an article is a mixture (in variable ratios) of arguments, rhetoric and (in extreme cases) brainwashing. Finally, whenever I can't fully check an argument and I need to trust part of it, I need to decide whether I trust the intellectual honesty of the speaker and its ability to get correct what I can't check. In practice, in an information-overloaded world, I need to know in advance whether to even read something. And I don't want to learn from a lobbyist, a racist, an anti-Semite, even though they might be entitled to free speech (IANAL, but there are restrictions). Phil spoke such unvarnished truth to power that the biggies felt they had to silence him. SAD, VERY SAD!